We have experienced neither miracle nor apocalypse in the changes we see about us these past two decades. Yet we seem often to find comfort in talking in simplicities, talking ourselves into disillusion, even where the facts paint a picture of a society in dynamic and transformative change. Where this change is undeniable, too often we imagine it as the result of benevolent or demonic politicians, depending on our fancy. Yet not everything is politics and politics isn’t everything. Much of how we progress as a society comes through on-the-ground actions of ordinary people. But the combination of their actions, whether private, individual or collective, and state developmental policies, have brought us enormous change, mostly to the good. For some this may seem surprising, given the amount of poverty and inequality in the country. Yet both these things are lessening. The World Bank uses a measurement called the Gini Coefficient to track inequality. This gives a mark between 0 (everybody has the same income) to 1 (one person has everything) which it applies to about a quarter of the world’s countries. On that measure, SA is the most unequal of those countries, although this has lessened since 2005. Moreover, most increase in inequality has been between Black Africans themselves where it increased markedly from 1996 to 2005. That’s perversely a good thing as it’s a mainly because of an uptick in income for many of these South Africans. In other words, a sign of progress. Indeed, average household income has doubled since 1996, a year when African disposable income sat at just R161bn. By 2011 this had jumped to R756bn (in constant rands). Where Africans earned on average 15% of what whites earned at the century’s turn, this was 40% by 2011. So quick is this upward mobility that by 2020 the private sector racial income gap will have gone, a remarkably quick achievement in a country where per capita income has jumped by a third these two decades. There are other ways to measure personal circumstances apart from income. 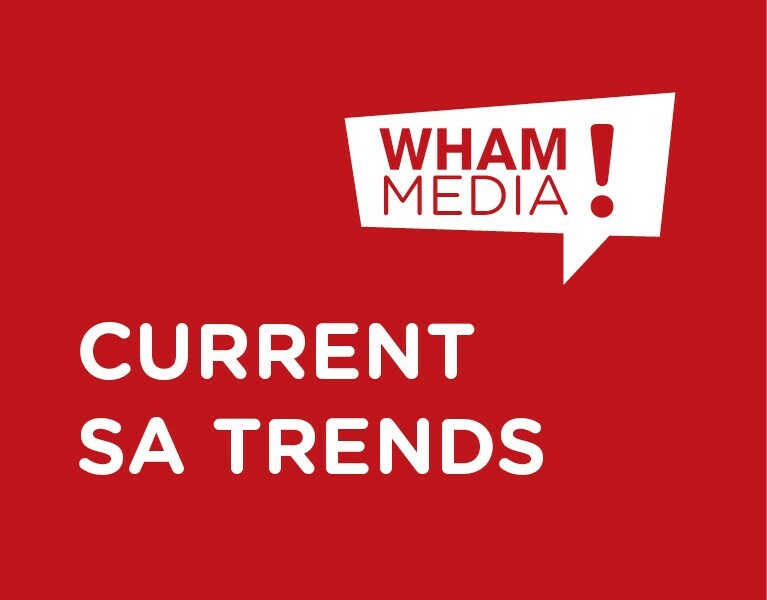 One is through the Living Standards Measures used by the SA Audience Research Foundation. This groups people into 10 categories based on things they own, rather than cash. People with the most form LSM 10, and those with the least are in LSM 1. In just the decade from 2001, the proportion of people in the lowest category fell from 11% to 2%, while the proportion living on US$2 a day fell from 16% in 1996 to 2.7% by 2009. This happens in times of vastly improved living conditions. So we have seen, since September 1996, the private and public sectors put up an average 1 000 new formal houses every day, a rate of 12.8 formal houses to every shack or hut erected. South Africa’s housing stock has jumped 80% in this time, Johannesburg’s doubling, and, since two years ago, Blacks for the first time constitute the majority of private homeowners of fully paid-up property. We’re healthier too. Our average life expectancy has risen from 53 years in 2006 to 60 years by 2011, while infant mortality has fallen 28% since 1994; malnutrition by 70%. In these times we’re seeing a “youth bubble” move through the system. As our rate of population drops to below 1% (greatly helped by urbanisation, that greatest of contraceptives) we find SA slowly ageing. Thus the 2001 census had us at an average 21 years old, moving up to an average 25 years old in the 2011 census. Frankly, we are pretty much what we are going to be in numbers. The 52 million of us today are estimated by the UNDP to reach 56 million by mid-century, and then fall back to 54 million by 2100. That too is a consequence of falling family size, rather than any calamity such as HIV-AIDS, which is on the wane. Still, we’re a very young country, a thing of both opportunity and danger. Africa’s astonishing economic growth these past two decades is partly about continental democratisation, market liberalisation and a global commodities boom, but also benefits from a young consumer and business-creating population. Here, though, also lies the greatest challenge, principally through our inability to create enough new formal sector jobs to absorb the often young unemployed. For the young there are many hurdles, starting with SA’s deteriorating family situation. Just 28% of urban African children were in households of both parents in 2011, a catastrophe of mainly missing fathers in a time of falling and failing marriage. On top of this is a labour market has that seen only four million new jobs in 20 years, not counting state-driven “job opportunity” schemes. With full unemployment at about 36%, we’ve ironically been living in a time of both increasing jobs and increasing joblessness (new jobs not keeping up with the number of job seekers). Ultimately, how we progress depends on economic growth outstripping population growth. And even in a bad year like this, we expect to see GDP expansion greater than population growth, on the back of an average 3% GDP growth each year of the last 20. It’s not the best we could do, surely, but even small overall real increases help. As Nedbank political economist J P Landman recently pointed out, SA’s adjusted average annual GDP growth in the 67 years it’s been recorded is about 1.2%. And who would argue that SA hasn’t seen progress in that time? First published in The New Age, 29 July 2014.